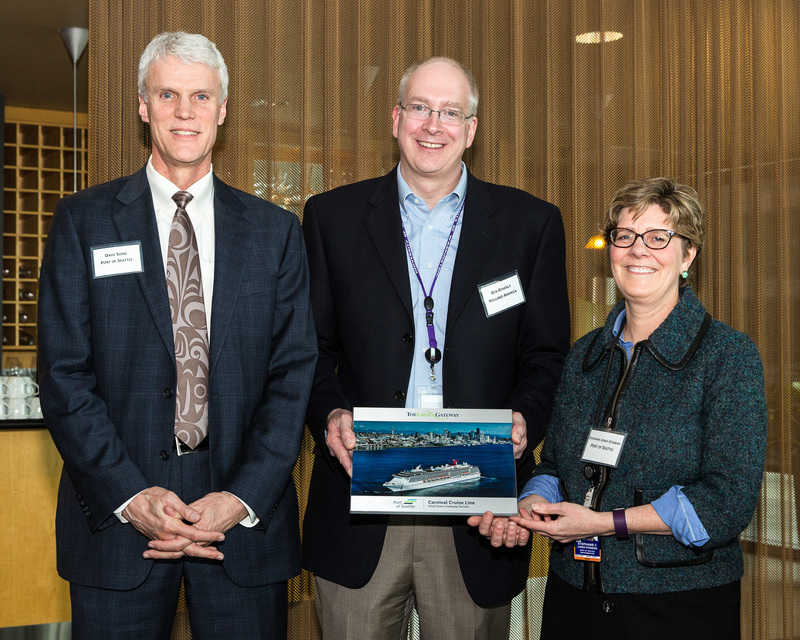 For the second consecutive year, Carnival Cruise Line has earned both the Program Innovator Award and Green Gateway Partners Award from the Port of Seattle, honoring the cruise line’s commitment to environmental stewardship. 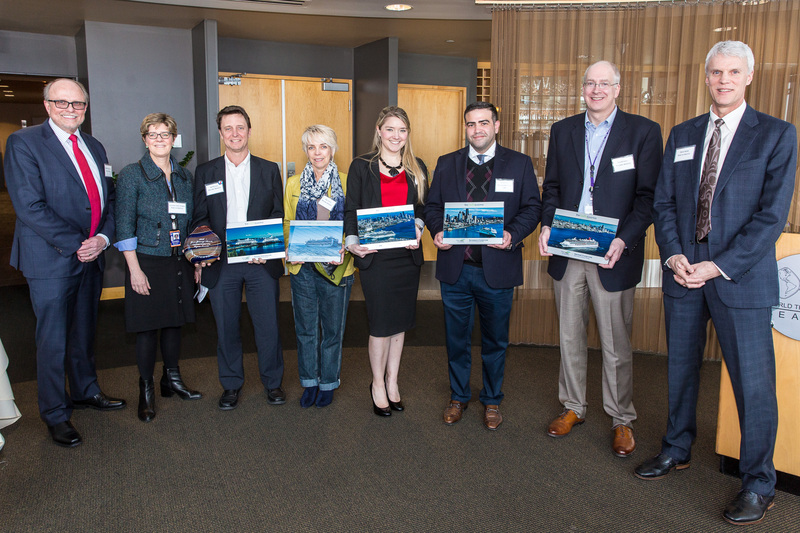 The award was recently presented at the Port of Seattle’s Cruise Annual All Agency Pre-Season Reception held at the World Trade Center on the Seattle waterfront. The Program Innovator Award recognizes Carnival for its creativity in environmental practices, including the company’s first-ever Environmental/Sustainability Fair held at Carnival’s corporate headquarters in Miami on World Oceans Day. The fair featured representatives from various environmental organizations and vendors, as well as the line’s shipboard environmental officers, to help Carnival employees gain a deeper understanding of the importance of environmental preservation and Carnival’s comprehensive fleetwide recycling and waste management procedures. 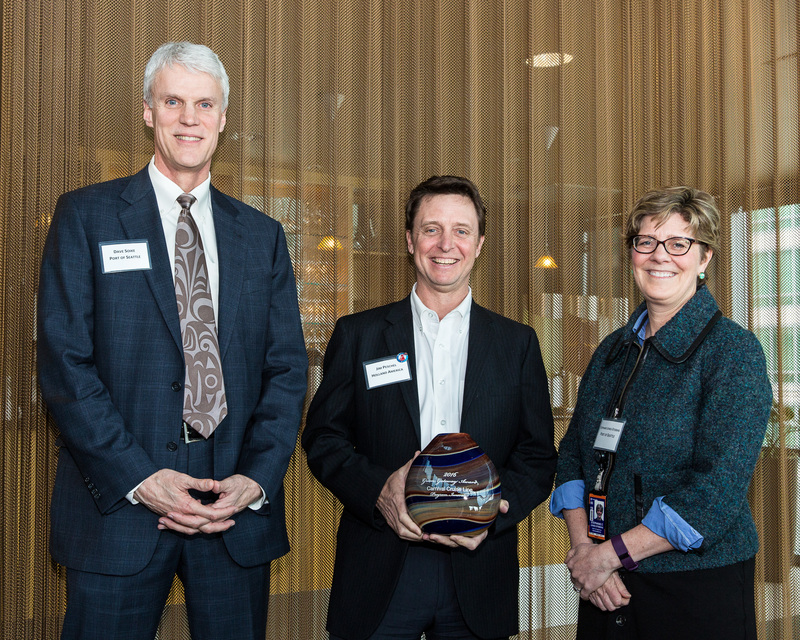 The awards also honored Carnival for innovations in fuel efficiency and waste reduction, as well as the development of groundbreaking exhaust gas cleaning technology. Carnival was also recognized for its innovative shipboard recycling incentive program in which all vessels in its fleet compete on a monthly basis to achieve the highest reductions in USDA waste and increases in recycling. The Green Gateway Awards are bestowed on cruise and shipping companies whose environmental programs and initiatives exceed industry standards and regulatory requirements and support the port’s goal of becoming the cleanest and most energy-efficient port in North America.​ Entries are independently evaluated by analysts at EA Engineering, Science and Technology, Inc.
“It is truly a special honor for Carnival Cruise Line to receive this recognition for a second year in a row, which is a testament to our environmental leadership,” said Rabih Aboudargham, Carnival’s director of environmental operations. “As a leading advocate in seaport environmental innovation, Port of Seattle’s programs inspire and encourage operators like Carnival to constantly push new boundaries in preserving and protecting our precious natural resources,” he added. As the world’s largest cruise operator whose success depends on the health of the world’s oceans, Carnival Cruise Line takes action through both high- and low-tech solutions to manage the environmental impact of its fleet. Carnival’s environmental stewardship approach includes use of shore power in select ports, a donation program for used but serviceable items from its ships, engagement of guests in its shipboard recycling activities, training and education programs for shipboard and shoreside personnel, ongoing fleetwide efforts to increase fuel efficiency and reduce emissions, and extensive waste and water management plans. The Port of Seattle serves as the homeport for Carnival Legend’s seven- and eight-day Alaska cruises which operate May through September.